You see that boys and girls? That’s the sign that my hood is REALLY coming up in the world (not that it wasn’t already plagued by Hollywood celebrities, overpriced home goods and incredible food). That, my friends, is the sign that I really need to find a job that pays me more. Because I am positive I will be one of their best customers. 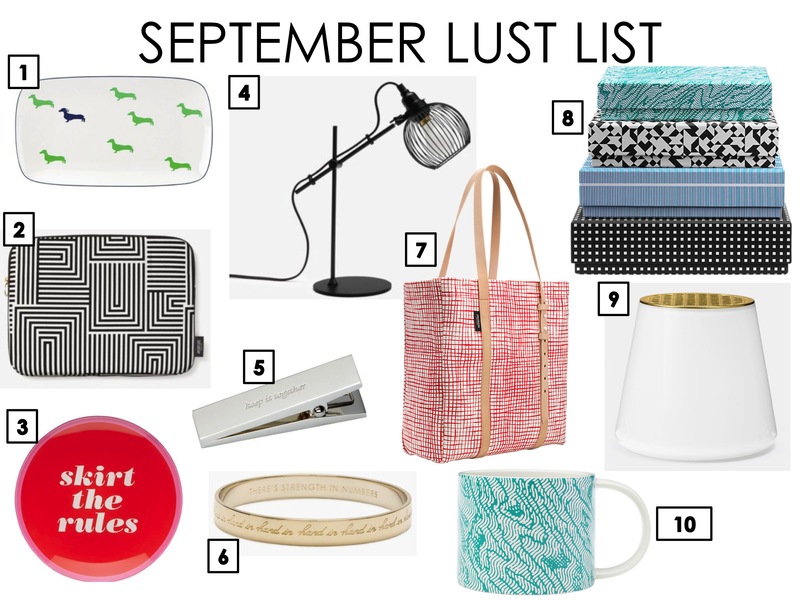 So with that in mind, this month’s Lust List is completely devoted to the one, the only, my favorite lady with a bow: KATE SPADE. She’s both uptown, chic and fun with her original collection as well as a little funkier with her new Saturday line. I just love it all! Kate Spade Wickford Dachshund Hors D’Oeuvers Patter – I think I need to buy this as a birthday gift for my bestie, the proud owner of a Dachshund named Snickers, IMMEDIATELY. Kate Spade Saturday Laptop Case in Signature Zig Zag – My Incase laptop case is a boring blue and has seen better days. What better way to spice up the old MacBook Pro than with a some serious style?! Kate Spade Say the Word “Skirt the Rules” Dish – I envision this in the apartment of a young, single girl, either mounted over the sink in her kitchen, or as a catch-all on top of her slick, white lacquer dresser. Kate Spade Saturday Desk Lamp – I am LOVING this black wire cage desk lamp. 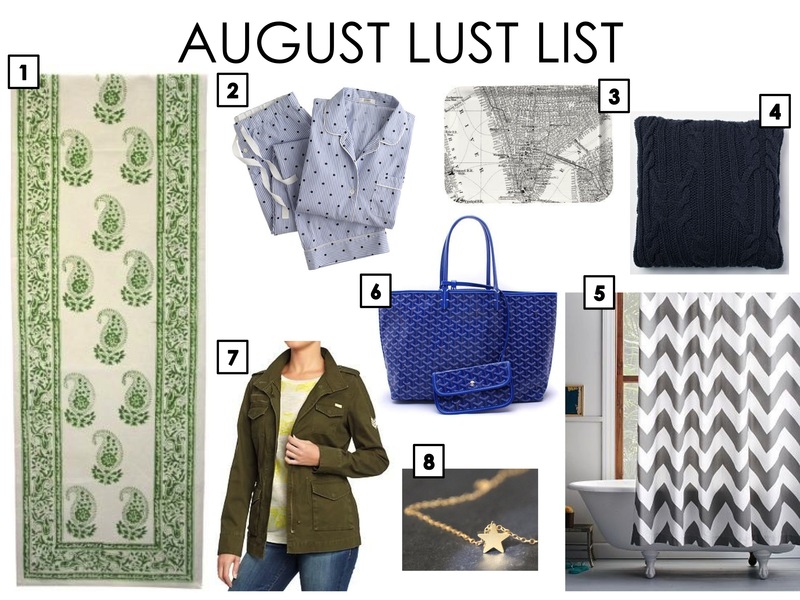 Would have been perfect for my Dorm (Room) Meets Design a few weeks ago. It could also work perfectly on the right nightstand as a bedside light. Kate Spade Silver Street “Keep It Together” Paperweight – I DEFINITELY want this puppy for my desk. It’s useful as well as a cheeky reminder to not let the little stuff get to you. Kate Spade Hand in Hand Idiom Bangle – I’ve had my eye on one of these since last Christmas. It’s sweet, a great message for women, and it is also for a great cause. Kate Spade will donate 25% of the sales from each bangle to Women For Women International who supports women by helping them get a fresh start and rebuild their lives in 8 war-torn countries. Good look, good price, GREAT cause. 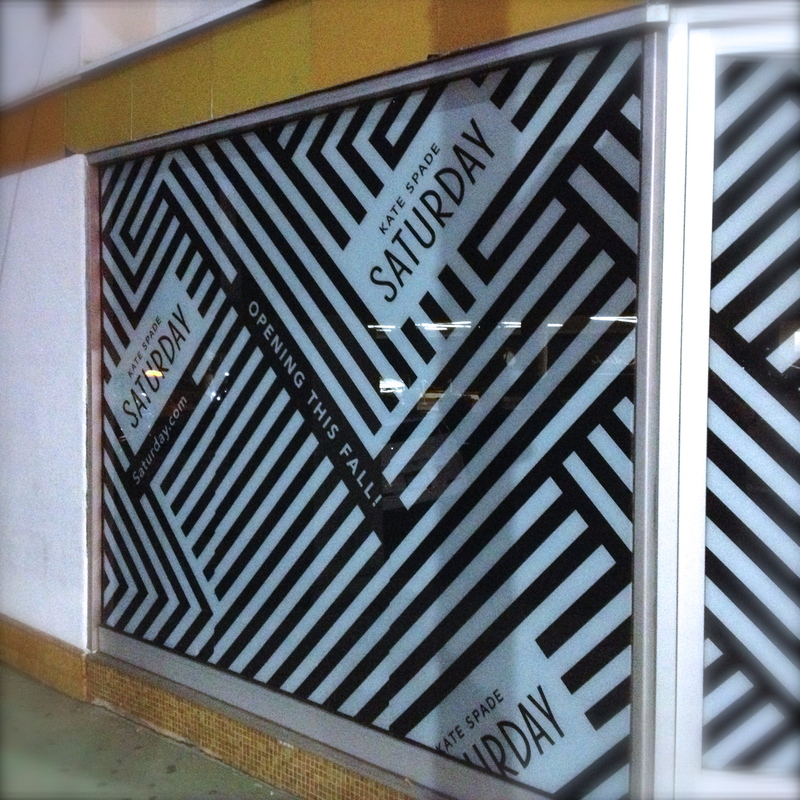 Kate Spade Saturday Small Paper Nesting Boxes – You’ve got a bookshelf that needs some pizazz? These little gems will do it. Stack them or spread them out; use them to hide those bills you’ve been avoiding, the 8 remotes your boyfriend insists you need or leave them empty. All I know is that they’re crazy good to look at and I’m suddenly reconsidering my color schemes to find a way to fit them in…. Kate Spade Saturday Morning Mug in Topography – What better way than to start your day with this as your cup? (I have you singing the Foldgers theme now, don’t I?!) I love the bright teal print. Kate Spade also has been doing some stellar things on social media as of late. Check out their blog, Twitter, and Instagram! So what are you kids lusting after lately? I’m dying for some crisp weather and a pumpkin flavored ANYTHING, but these temperatures in Los Angeles have NOT been amenable to my fall-loving ways. I’m hoping the weather cools off, even a bit, so Jefe will join me at the Rose Bowl Flea Market this weekend! I may be compelled to buy anything in red, orange, and yellow hues…. 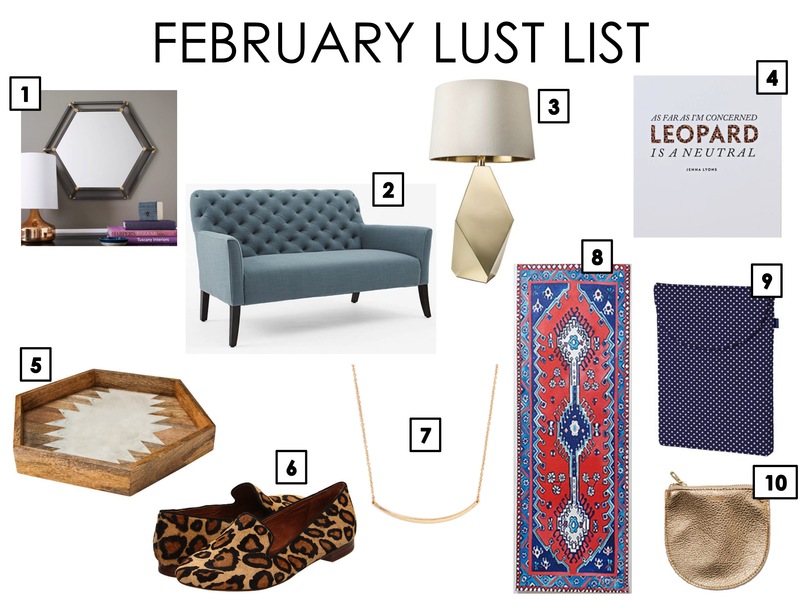 Today I bring you this month’s Lust List. As the temperatures have started to rise here in LA, I’ve started to get an itch for all things summer: sandals, sundresses, and TRAVEL. Though the travel part may honestly have as much to do with the temperatures as it does with me finally renewing my passport. Or it could just be the fact that, as of late, I’ve been booking a LOT of other people’s travel at work (Cannes to be exact). Nonetheless, I am dying to jet off to a beach somewhere, be it Hermosa in LA, the Jersey shore, or the crisp white beaches of the French Riviera. 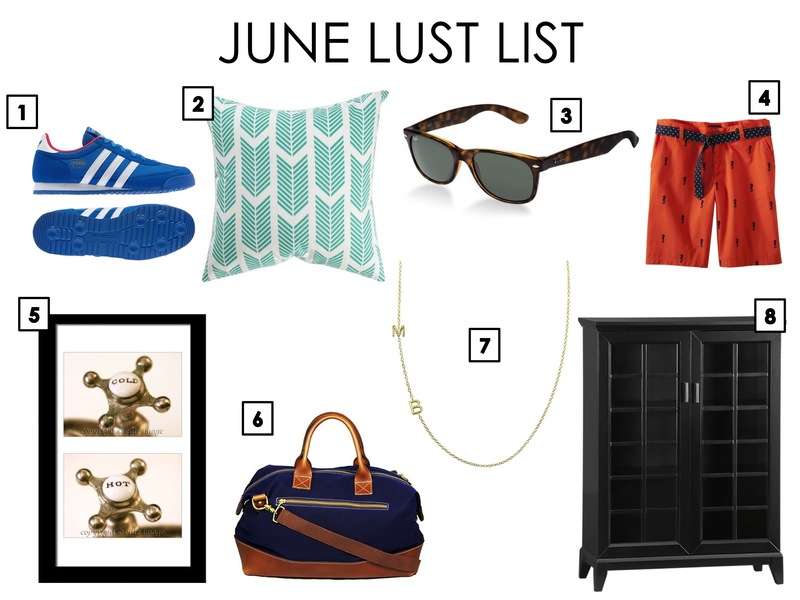 So this month’s list is a bit more focused on summer travel necessities with a few home goods thrown in for good measure. 1) JCrew Farmer’s Market Tote. So classic, simple, and useful. And it’s versatile enough to lay flat in your suitcase, ready to be pulled out for day trips to the beach or boardwalk. 2) Sam Edelman Gigi Sandals. Unlike comparable gladiator-type sandals, these have serious cushion. No flat footed sandals for me. I’ve bought a new pair every year, usually in a different color. Last year’s were silver, this year I’m feeling something a bit shinier…. 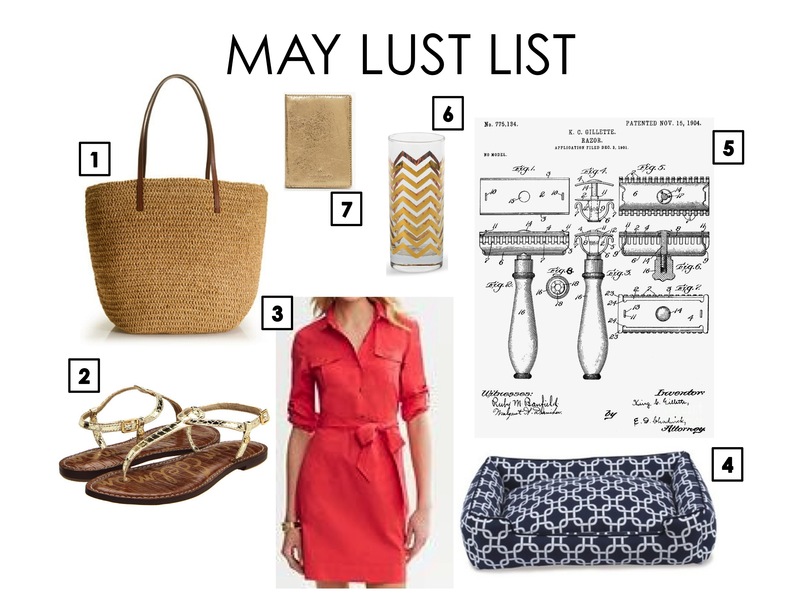 3) Banana Republic Safari Shirtdress. I’m obsessed with shirt dresses. It may have something to do with Rachel McAdam’s wardrobe in Midnight in Paris… I just can’t get enough! 4) Muttropolis Marine Print Lounge Dog Bed. My puppy fever is in full swing. We’re still figuring out the details of when a furry little thing will call our place home, but I can not WAIT for that day to come. So I might as well be fully prepared. 5) Fine Art America’s Gillette Razor 1904 Print. Jefe found this on a recent trip to The Art of Shaving. He came home and decided it was just what our master bathroom needed. 6) C.Wonder Golden Chevron Highball Glasses. I’ve been working on revamping our bar area. Nothing like a little old-school swank to add some glamour to an otherwise dull corner of our dining room. 7) Kate Spade Harrison Street Passport Holder. Are we noticing a gold theme lately?! You can’t be an international jet setter without a truly elegant passport holder. And coming up next I’ve got that reader Q & A I teased about yesterday. Can’t wait to share with you guys!